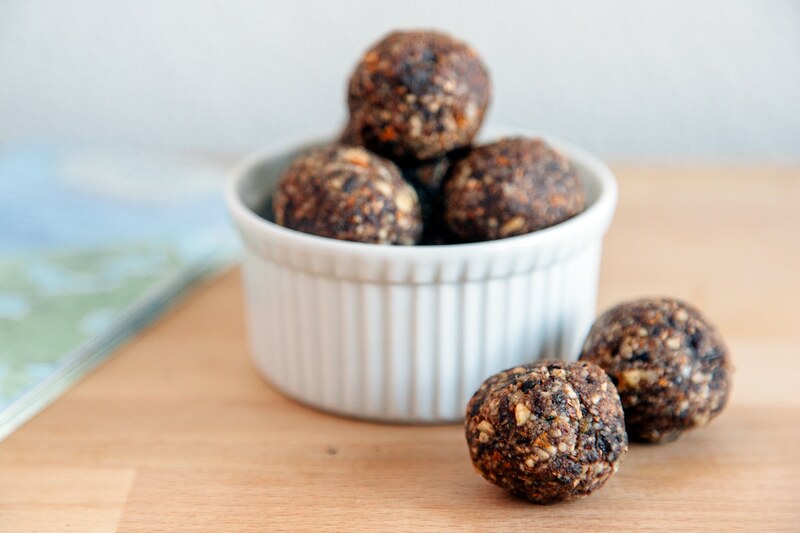 Inspired by our favorite Ben & Jerry’s ice cream flavor, these no-bake energy bites are a perfect calorie dense, grab-and-go snack for your next outdoor adventure. What’s great about energy bites is they’re nearly impossible to screw up. Since there’s no baking required, you don’t need to worry about bake time and oven temperature. 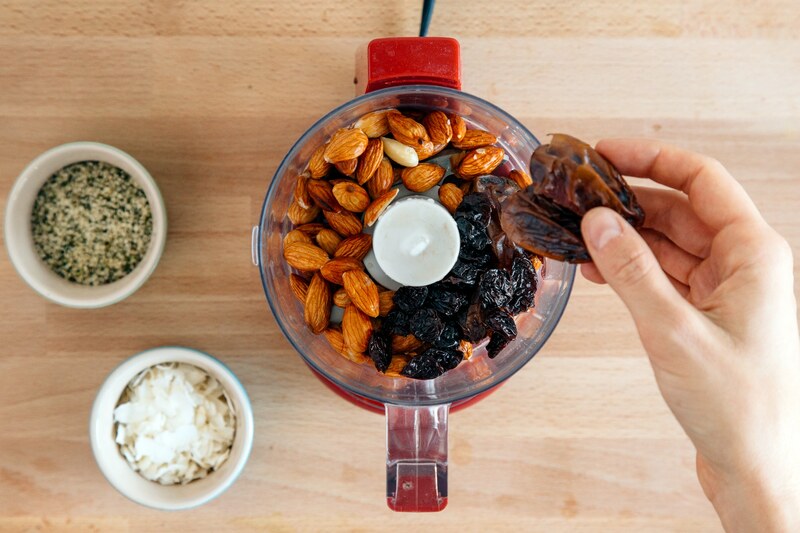 All you need is a small food processor to combine the ingredients. When fresh, they’re soft and chewy. But if you prefer them a little firmer, just place them in a refrigerator for an hour to allow them to set. 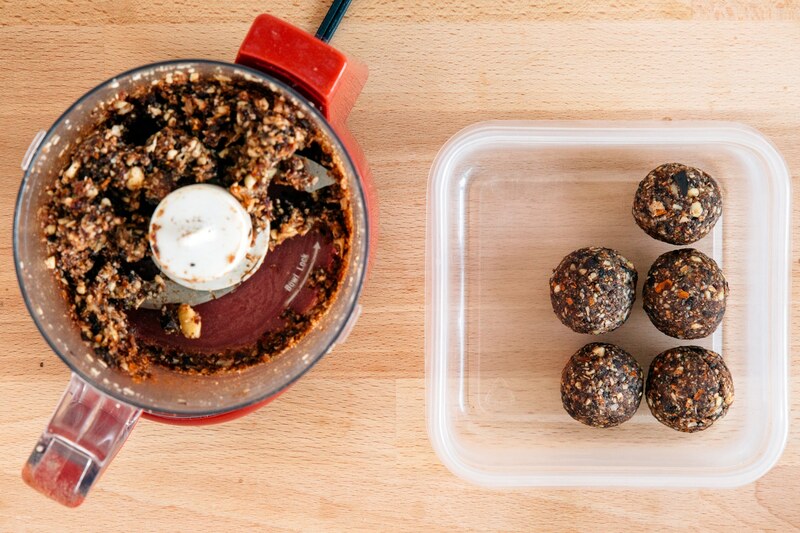 Just like granola bars, you can make energy bites in any flavor combination you like. However, for this particular recipe, we drew some loose inspiration from our favorite Ben & Jerry’s ice cream: Cherry Garcia. Dark chocolate paired with dried cherries make these bites taste like a real treat! 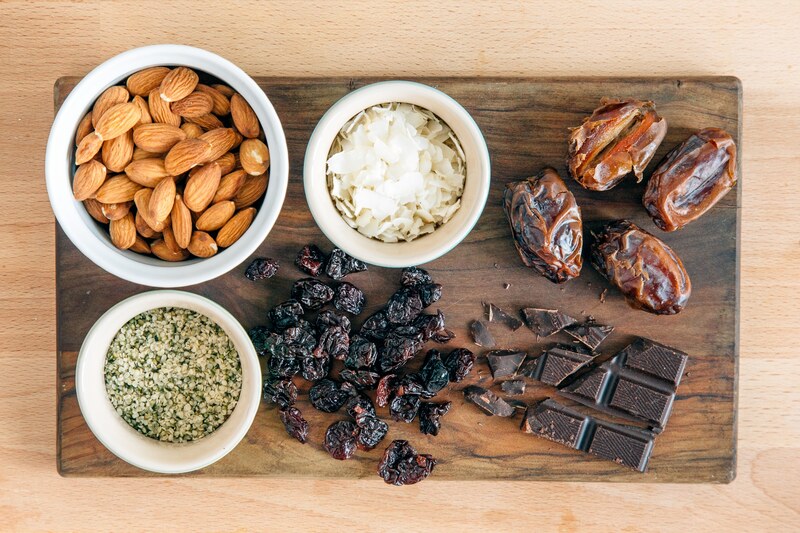 For the binder, we used Medjool dates, which also serve as a natural sweetener and give your body a quick energy source. Hemp seeds and almonds lend some protein, while the coconut flakes introduced a subtle tropical note. All these flavors packed into one delicious burst of energy, you’ll find it hard to have just one! 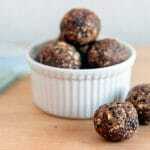 The recipe provided below makes roughly nine energy balls. Which, with our weak willpower, lasts about a day. Consider doubling the recipe if you want to save a few for later to take on your next adventure.